Bullying threatens students’ physical and emotional safety and can negatively impact their ability to learn. Sadly, too many children in America are being bullied each year. According to stopbullying.gov, a federal government website managed by the U.S. Department of Health and Human Services, between 25 percent and 33 percent students have been bullied at school and most bullying happens in middle school. In a recent survey published by the National Association of Elementary School Principals, school leaders say that they worry about the well-being of their students and that emotional bullying is one of their top 10 concerns. Fortunately, school staff can make schools safer by working to prevent bullying and by sending the message that bullying is unacceptable. That’s why prevention is so important to City Connects coordinators like C.J. McGowan. 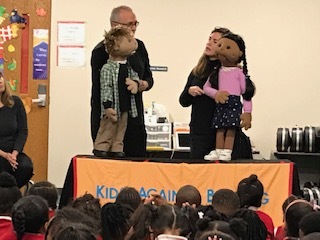 For National Bullying Prevention Month, which was in October, McGowan, the City Connects coordinator at Ascension Catholic School, a K-8 school in Minneapolis, worked with teachers and other school staff to raise awareness by facilitating anti-bullying lessons and activities. 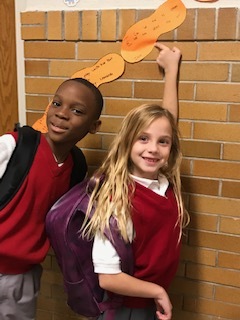 Orange is the anti-bullying color chosen by the nonprofit organization PACER, which founded the National Bullying Prevention Center. 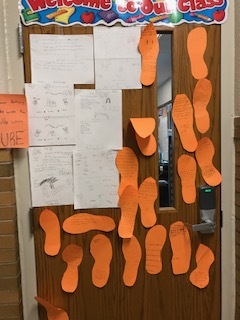 “Some of the classrooms have put those feet on the walls. And the kids want to show which ones they made,” McGowan says. In one classroom, a teacher read a book about bullying and had a discussion. Other classes watched a video about bullying. In all the seventh-grade classes, there were in-depth conversations about bullying. 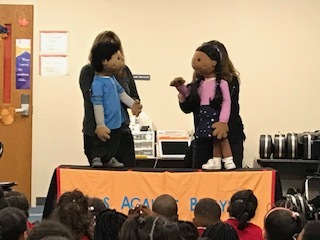 PACER also came to do puppet shows for the kindergarteners, first, second, and third graders. The puppets acted out stories. One was about a girl who was excluding another girl. Another story was about a boy who didn’t realize how intimidating he was being, so he went home and worked with his mother to make a plan to behave differently. McGowan even uses the national statistics on bullying to make her point. “When we told the seventh graders that 20 percent of our community could be bullied, we said that means that 68 kids in our community could be bullied, and they were like ‘What? That’s a lot of people!’” McGowan says of sharing national statistics with students. Another strategy is to have ongoing conversations. 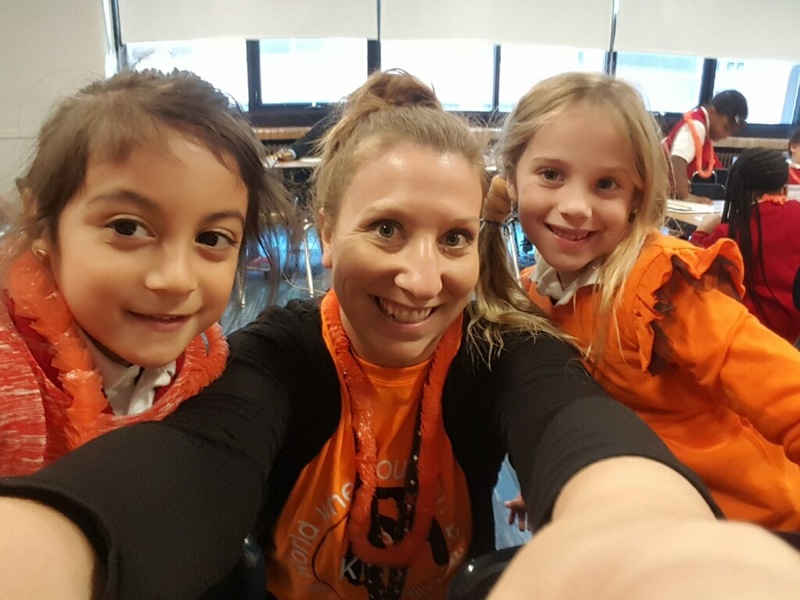 This is the work of City Connects coordinators: they connect students to resources; they lead school initiatives, they collaborate with school staff, and they help students develop social-emotional skills.